Amid the intense discussions around head and neck cancer (HNC) treatment and survivorship planning, sexuality — an important quality of life issue — may understandably not be discussed. When and in what manner do patients with HNC want to talk about the impact the disease may have on their sexuality? Bethany Rhoten, Ph.D., MSN, R.N. That’s one of the questions Vanderbilt University School of Nursing (VUSN) Assistant Professor Bethany Rhoten, Ph.D., MSN, R.N., will investigate through a Vanderbilt-Ingram Cancer Center-administered pilot program from the American Cancer Society. The $30,000 American Cancer Society grant will also allow Rhoten to obtain data regarding the need for an HNC-specific self-report tool to assess sexuality. Currently, sexual health in patients with HNC is assessed via broad quality of life self-report tools and generic measures of sexuality. Rhoten hypothesizes that these may not adequately capture the range and dimensions of HNC survivors’ needs and experiences. She hopes that the information from her study will allow for the development of guidelines for discussing sexuality with patients, facilitate the development of specific assessment tools and determine the timing for interventions. “As survival rates for patients with head and neck cancer continue to improve and patients are diagnosed at a younger age, there is an increased need to holistically support survivors with patient-centered care,” Rhoten said. 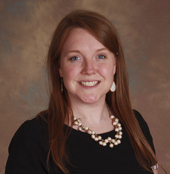 Rhoten previously received an American Cancer Society Doctoral Scholarship in Cancer Nursing. She earned her MSN and Ph.D. from Vanderbilt University, where she also completed a postdoctoral fellowship. This project is supported by American Cancer Society Institutional Research Grant Pilot Program grant #IRG-15-169-56.